THE BODIES of four people were found in a parked van in Garden Grove Thursday night. UPDATE: One of the four bodies found Thursday night in a van in Garden Grove has been identified. According to police, it is a 41-year-old male from Garden Grove with the name of Phunyouphone Kanyavong. The other three, one of an adult female and two children – one boy and one girl, both under four years of age – were yet to be identified as of Friday afternoon. Family members of Kanyavong told detectives that the unidentified three were his girlfriend and their two children. The bodies of two adults and two children were found Thursday night in a van in Garden Grove. 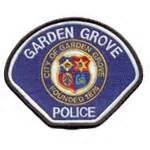 According to Lt. Carl Whitney of the GGPD, the bodies were discovered by officers at 8:34 p.m. in the parking lot of the CVS store at 12031 Brookhurst Street. Police have found no evidence of foul play, and the four may have been homeless persons living in the white Honda van. A woman walking in the parking lot noticed a strong odor coming from the van and called police. Arriving officers found the van’s windows covered with blankets and screens from sunshine. Inside the vehicle were the bodies of an adult male, an adult female, a female child and a male child. The children appear to be under four years old. There was “no noticeable trauma,” according to investigators, and the cause and time of death is yet to be determined. The woman who called about the van told police she had seen the Honda parked in the lot for several days and thought the family may have been homeless. Anyone with information about the incident is asked to call the GGPD at (714) 741-5704.